At the end of each year, VetPrep seeks a 2nd and 3rd year student at each veterinary school to serve as the representative for their class. Every year, veterinary students go through a lot of needless stress because they don't have good information about the NAVLE® and the many available study resources. We hope that with your help we can better inform these students about their upcoming boards and direct them to the tools they need to succeed. Job responsibilities are to give a short presentation and distribute a small amount of material to all classmates to inform them about what VetPrep has to offer. This is minimally time consuming and is expected to take 5-10 hours of work over the entire year. It makes for a nice addition to your CV and comes with other perks. We encourage any interested students to email VetPrep and further details will be provided. 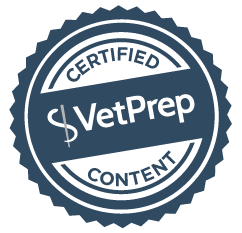 If you're a VetPrep student representative, you can access your Student Representative Dashboard for the latest information and upcoming promotions.